Many cars aspire to greatness, but a great car is more than just a collection of good ideas. 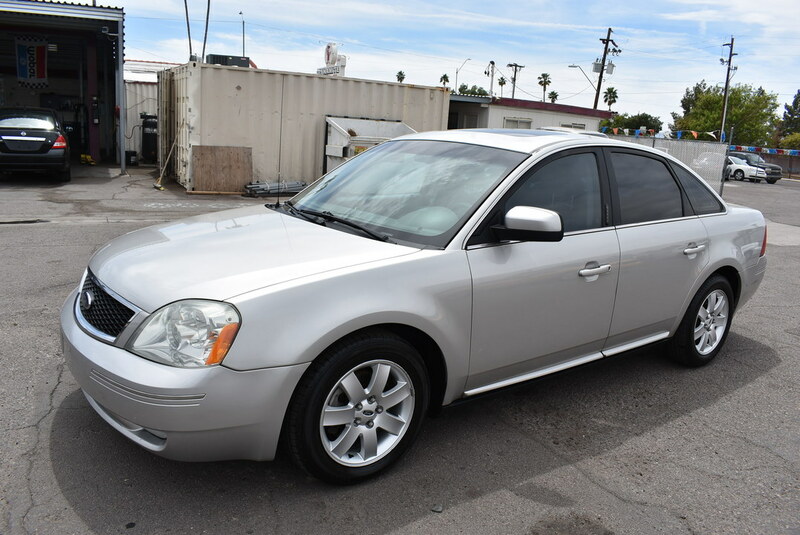 This 2006 Ford Five Hundred SEL FWD is chock full of good ideas that successfully add up to one great car! It has a 24 valve V6 engine and a ton of luxury features! The leather seating surfaces are incredible and the power sunroof brings a little spirit into the daily commute! If you like a classic wide driver's seat and upright driving position, you'll feel right at home behind the wheel of this Five Hundred. The instrument panel is cleanly laid out, with clear, simple gauges in all the right places. In addition to copious room and 60/40 fold-down rear seats, the interior features upscale materials, colors, textures and graphics. There's much to appreciate......inside, outside, and under the hood. This sedan would be a good investment for anyone shopping for a quality sedan with a lot of forward-thinking engineering. Print this page and call us Now... We Know You Will Enjoy Your Test Drive Towards Ownership! 18 service records and accident free per CARFAX!!!!! !